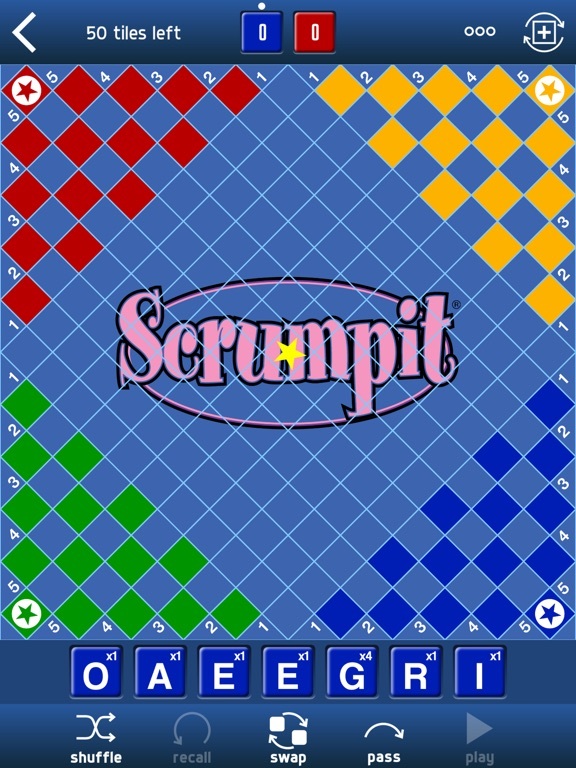 SCRUMPIT is a crossword style board game for 2, 3 or 4 players, involving tactics, strategy and wordplay with the option of scoring for yourself and/or frustrating other players by stealing their letters. Any player reaching the Apex Star 7, finishes the game. 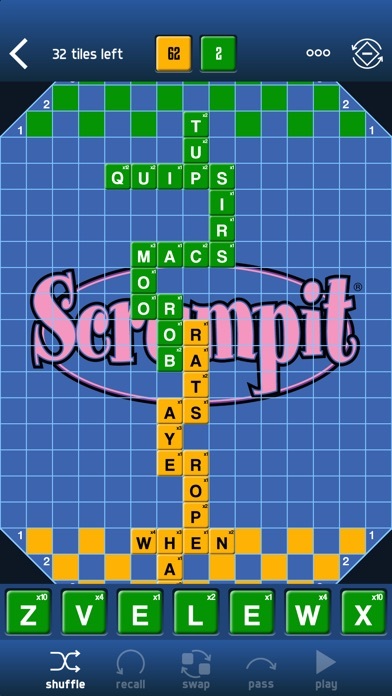 All the other players must then deduct from their score, the value of the letter tiles remaining in their racks. 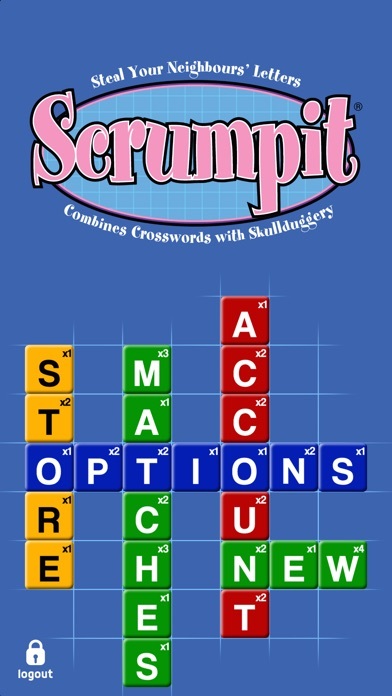 The winner of the game will be the player who has the highest score  not necessarily the player who finishes the game. 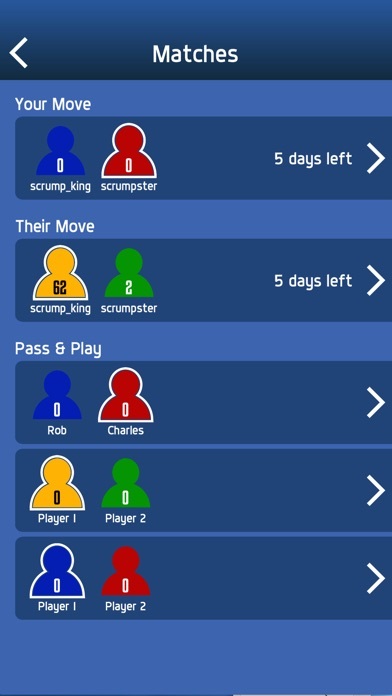 To player a full match each player must have one turn at starting a game. 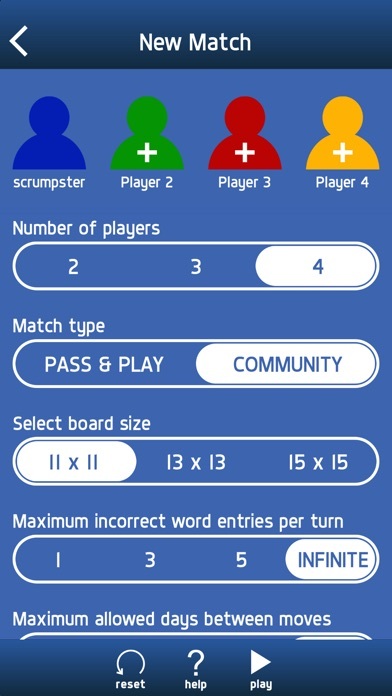 A match consists of one game (turn to start) for each of the 2, 3 or 4 players. Bummer... I'd love to see this with single player/vs. AI. But it doesn't seem to have that. Games like this are always a crap shoot because you have to hope that the community builds enough to support playing when you want to play. Maybe they'll add that later. I agree with Quick Wit 100%. 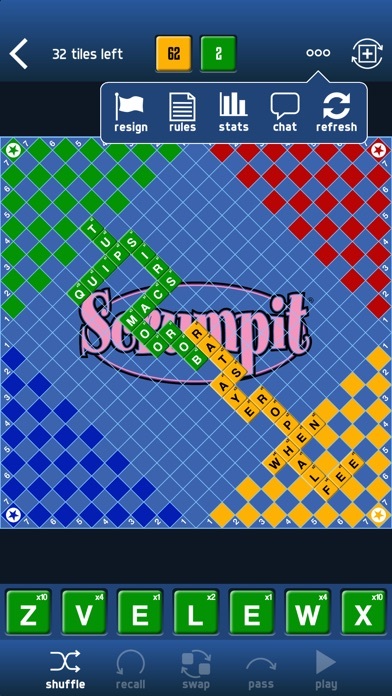 I'm tired of being burned by multiplayer games where you can't find an opponent. Thank you for your feedback. This is something we might look to add to the app in the future, AI is quite a complex feature to add though.